The Scott Little Goose release is a single caliper release that performs at the top of its class. I have been using the Scott Little Goose as my primary hunting release for pretty much the last decade due to its high quality construction, adjustability, and performance. The Scott Little Goose weighs in at around 3.2 ounces and is made of the highest quality components. The wrist strap and buckle offer a solid and adjustable anchor and is quieter than Velcro versions of lesser releases. Scott utilizes its Solid Swivel Connector technology, along with its patented 5 hole adjustment system, which allows for excellent performance and provides any size archer a perfect fit. 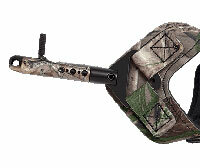 The trigger is also offset forward in design allowing the archery to shoot the longest possible draw length. This results in more of a power stroke and a faster arrow. In addition, this wrist release’s trigger also has a micro adjustment screw. This feature controls the sensitivity of the pull which is one of my favorite features. To set up this release for maximum performance, you have to cater it to your liking. The first step would be to fasten the buckle around your wrist in order to set the trigger distance. 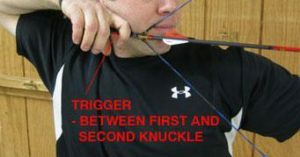 Once the release is around your wrist, attach it to your bow string. Next, pull hard enough so the release locks to the base of your hand. Once the release is locked in position, notice where the trigger’s position is in relation to your trigger finger. Adjust the trigger distance so its about inline with the second knuckle of the trigger finger. This will allow the trigger finger to curl around the trigger and will present a straight back trigger pull. This adjustment is one of the keys for accuracy. 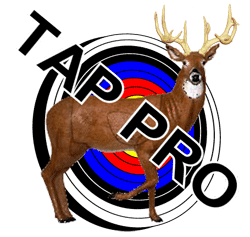 If the trigger/wrist distance is too long, you will be left “plucking the banjo string.” The “plucking the banjo string” pull will disrupt a perfect shot’s inline execution and will affect accuracy. Adjust the sensitivity of the trigger pull by adjusting the micro hexagonal screw. This is a very nice feature that allows you to adjust the trigger pull’s pressure to your liking. My Scott Little Goose is set to where the slightest pressure will set it off. Trigger to wrist length is fully adjustable. Wrist strap is quiet, adjustable, and offers a very solid anchor. The adjustment screws could be made of stainless steel to prevent rusting/locking in place after being exposed to moisture and years of use. We recommend this release without question. While troubleshooting customer’s paper tuning results, we have had people change their release to the Scott Little Goose and have eliminated many bad tears. It is a dependable and solid performer. I give the Scott Little Goose release a 8 out of 10 rating. 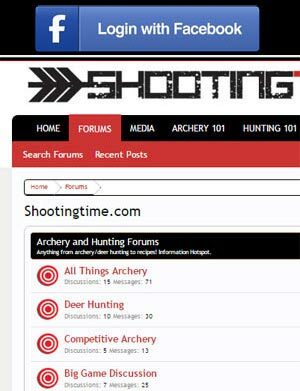 For more information, visit Scott Archery’s website.